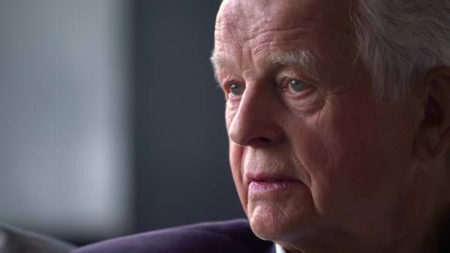 HLAA offers sponsorship opportunities that allow companies to extend their reach to the many diverse populations of consumers with hearing loss that we serve, including parents of younger children, young adults, veterans, people in the workforce, underrepresented populations and those with age-related hearing loss. HLAA offers a broad range of programs on both the local and national level, including the HLAA Walk4Hearing, annual convention or the many educational, outreach and training opportunities we offer. We work together with our valued corporate partners to deliver innovative and vital programs that directly benefit consumers with hearing loss and their families. The HLAA Walk4Hearing is the largest program of its kind for people with hearing loss. 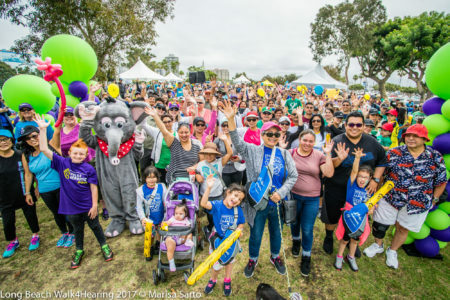 Since its inception in 2006, more than 90,000 walkers have raised in excess of $13 million to raise awareness and funds for people with hearing loss. Funds raised support both local and national programs and services for people with hearing loss. Thousands of walkers and supporters will participate in one of the 20 Walk4Hearing events being held in cities across the country in 2019. View the 2019 Walk4Hearing Prospectus. The multiple benefits and recognition opportunities you receive as a convention corporate sponsor will allow you to maximize your marketing dollars! 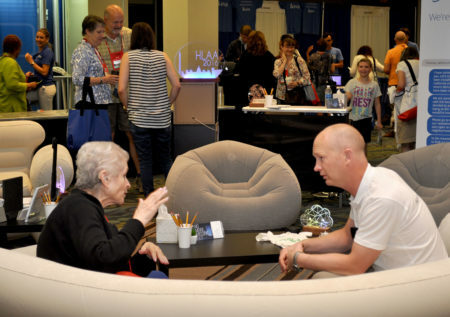 View the HLAA2019 Sponsorship/Marketing and Exhibitor prospectus. It’s a growing market, with 74% of households in the U.S. currently owning at least one CTV device. 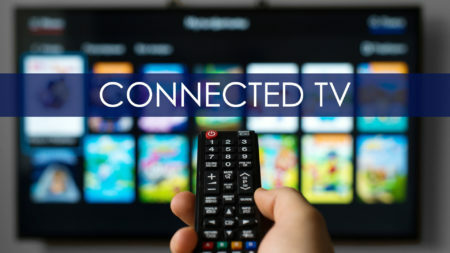 These devices are essentially internet-enabled televisions, whether that connectivity comes from a streaming device like the Amazon Fire Stick or Roku, an internet-enabled gaming console, or it’s a smart TV with its own built-in connection. 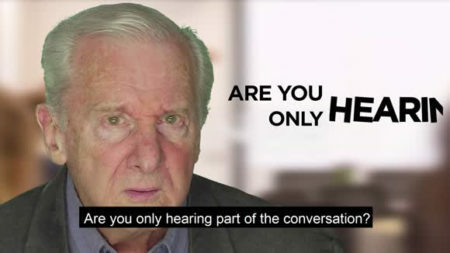 For HLAA and our corporate partners, this means a whole new way to reach consumers, especially those who have not taken steps to treat their hearing loss. 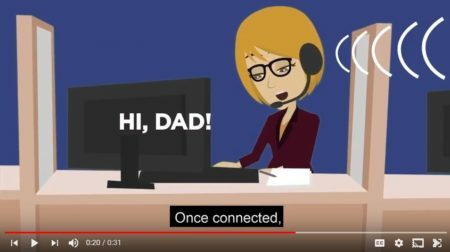 HLAA recently partnered with CaptionCall to produce three new educational videos for CTV with corresponding social media versions which can be viewed below. In addition, the sponsorship package included distribution of CaptionCall’s Eddy the Ear videos, a series of educational videos on various aspects hearing loss. Are You a CTV Partner? HLAA is currently seeking partners to create a playlist of co-branded educational videos that will air on Apple TV, Amazon Fire TV, and Roku. Do you have educational videos that you would like to distribute to a larger audience? We can do that! There are a variety of packages available to suit your budget and marketing objectives. If you are interested in partnering with HLAA on a CTV playlist, contact HLAA Director of External Affairs Nancy Macklin at nmacklin@hearingloss.org or 301.657.2248. Corporate sponsors have the opportunity to help provide much-needed education for people with hearing loss. Webinars, hearing assistive technology (HAT) projects, development of printed and online materials and scholarships are just a few. We can also work with you to develop custom programs that allow you to reach both new and existing audiences while supporting the core values and mission of HLAA. For more information about becoming a Corporate Sponsor or about any of our other sponsorship opportunities contact Nancy Macklin, director of external affairs, at 301.657.2248 or email development@hearingloss.org.